Hey, it’s October now and that means Halloween is around the corner, so I’m in the mood to talk about horror. Until this weekend, it had been entirely too long since I had watched a good horror movie. I saw, and enjoyed, “It Follows” a few months ago and it was without a doubt the best horror of 2015 for me. But how long does one have to wait for a decent horror to come along? There might be light at the end of the tunnel though. “Crimson Peak” is out next week, and as it has A) Guillermo del Toro as a director and B) Tom Hiddleston starring, my hopes are sky-high. Don’t fail me now del Toro! 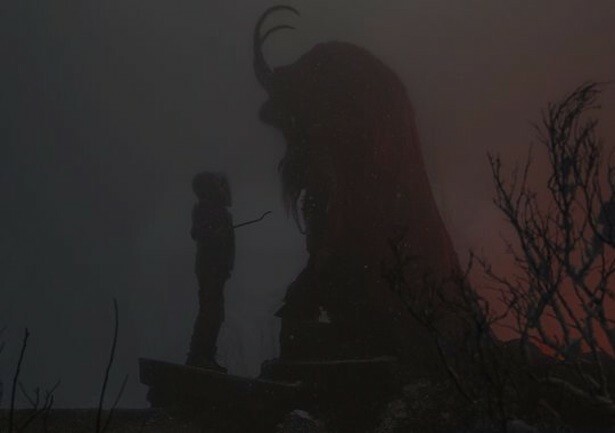 Then, a couple of weeks ago, the trailer for the new Christmas themed horror-comedy “Krampus” was released. I watched the trailer desperately hoping to feel some level of excitement. And, I’m sorry to say, I’m not really feeling it. I love comedy, I love horror, I love Adam Scott and Toni Colette but this one left me feeling little more than “meh”. The mythical figure of Krampus has the potential to be seriously frightening and unsettling, but I would prefer to see something closer to the wiry, black goat creature seen on many old postcards instead of this massive, hulking beast in a robe. 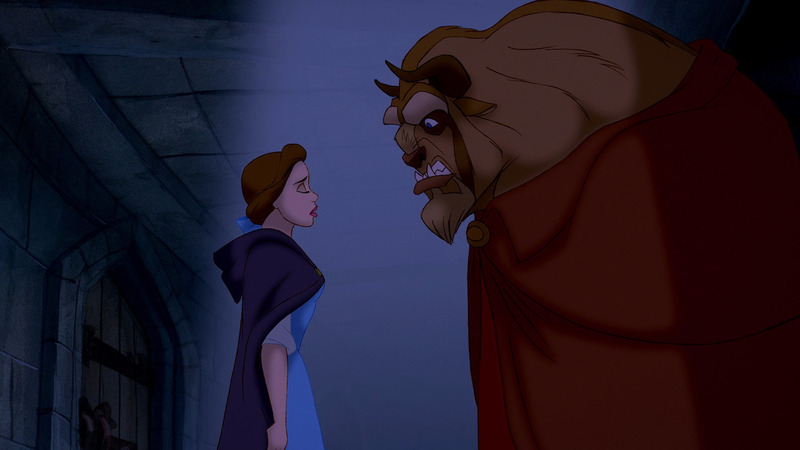 In fact, Beast from Disney’s “Beauty & the Beast” is who I first thought of when I saw the trailer. Seriously, I’d just go with him hoping he would show me his amazing library. However, I wanted to find out more about who was behind “Krampus” and started reading about the director Michael Dougherty. And that’s how I came across “Trick ‘r Treat”, Dougherty’s 2007 movie. If you are looking for something to get you in the mood for Halloween or just feel like watching a really solid horror, I’d highly recommend it. It’s a compilation of a few different stories taking place in the same town on Halloween. The movie manages to be both funny and scary and also cleverly handles various horror tropes. I felt genuinely delighted after watching the movie, which is a fairly strange thing to say when you’ve watched whole chunks of it through your fingers. 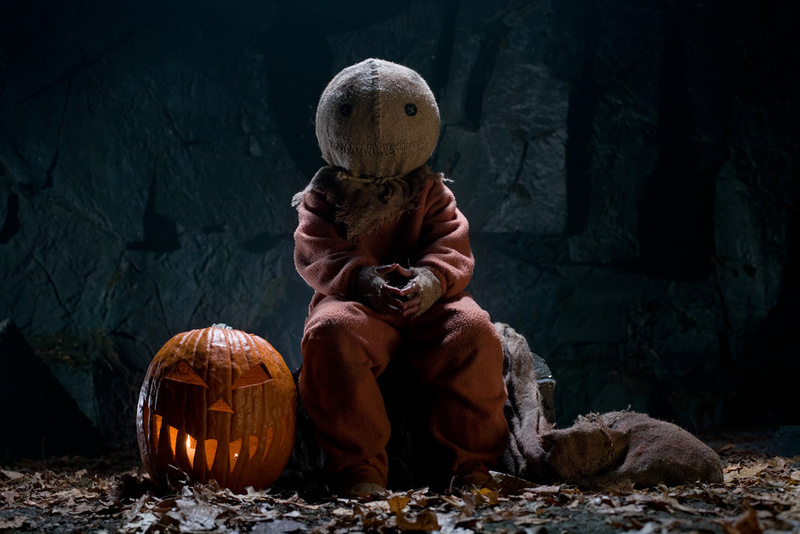 “Sam” from Trick ‘r Treat. If this kid came to my door for Halloween, all he would get is a whole lot of nope. So, if nothing else, I now have a Halloween classic I can return to year after year when I need to get my fright fix. I’d love to hear your horror recommendations in the comments section.